When an accident or injury occurs to a visitor or tenant living on another person's property, the owner of the property may be liable (legally responsible) if it can be proved that their negligence led to the injury. If you've suffered an injury of this type which you believe may be a result the negligence of another person or business, you may be able to file a lawsuit to recover the costs involved to pay for your medical bills, any lost earnings, physical pain, mental pain or other pain, disfigurement, physical impairment, emotional distress or permanent physical disability you have suffered. Premises liability is the legal concept that the owner or occupant of a property may be held accountable for injury or death that occurs on that property. But premises-liability cases in Texas are sometimes complicated, and the responsible party may not always be easy to identify. In cases involving premises liability, plaintiffs must prove that the property owners either failed to maintain the property or created unsafe conditions which caused the injury, knew about the unsafe hazard but didn't alert visitors or tenants to this fact, was not careful concerning unsafe conditions which might attract children, or took actions or neglected conditions that caused injuries. In Texas the business owner or business manager must have actual knowledge of the dangerous condition or have constructive knowledge of the dangerous conditions. 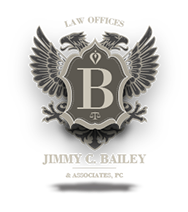 Jimmy C. Bailey & Associates has successfully handled multiple causes representing injuries to our clients regarding premise liability cases.